Central Puget Sound Regional Transit Authority developed a multiple year demolition, remediation, excavation, tunneling, and construction work plan to develop an underground Sound Transit University Link light rail station located in the Capitol Hill neighborhood of Seattle, Washington. Site work began in early 2009. The station is located near Nagle Place, across from Cal Anderson Park, a mixed commercial and residential neighborhood. The station will handle an estimated 14,000 daily boardings and when completed in 2016 have three separate entrances to the north, south, and west. 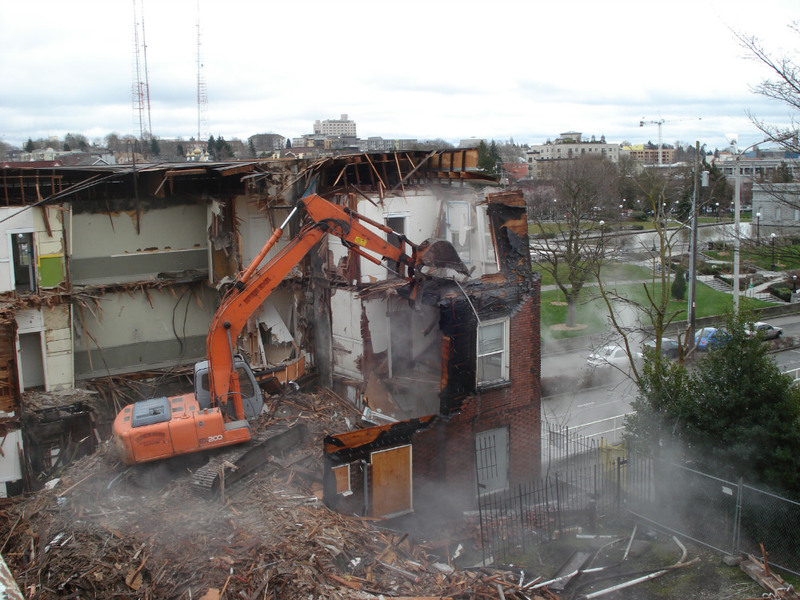 NRC was retained to perform a multiple discipline project including demolition, elective dismantling, remediation, concrete processing, underground storage tank (UST) removal, recycling, and site restoration at multiple properties in a three block area. 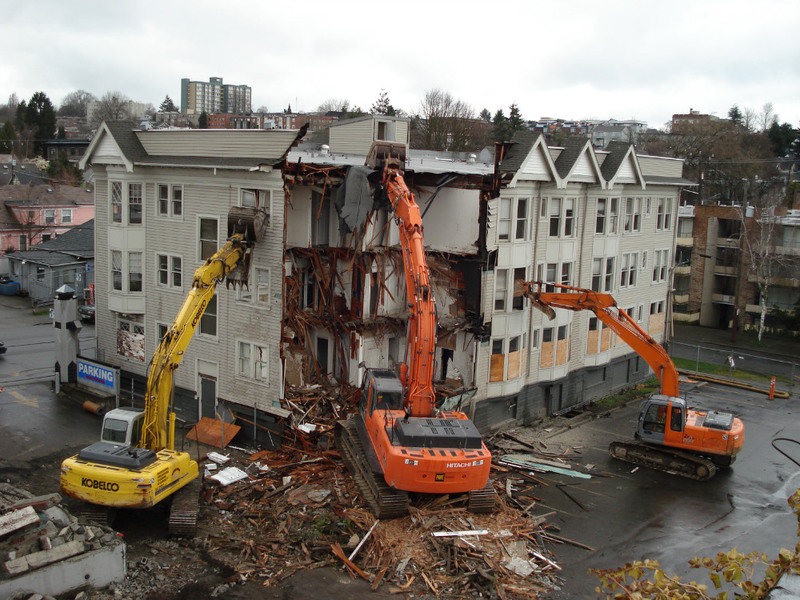 Demolition activities included the removal of 16 buildings including a four-story apartment complex immediately adjacent to a major arterial. Excavation activities included the removal of multiple asphalt and concrete slabs, foundations, retaining walls, curbing, sidewalks, and other structures to access, remove and recycle 14 USTs and excavate, transport and dispose of approximately 10,000 tons of hydrocarbon and solvent contaminated soil. Site restoration included installation of over 350 soil nails, shotcrete retaining wall systems, and numerous underground utility installations. The project also included re-grading, asphalting, and landscaping three city blocks along with the installation of associated storm water conveyance systems. NRC achieved in excess of a 92% recycling rate with over 118 tons of building materials donated back to the local community, and performed over 10,000 man-hours without any lost time accidents. Storm water discharge criteria was not exceeded during the duration of the project that encompassed a three city block area. The project was successfully completed on schedule, and within established budget parameters. 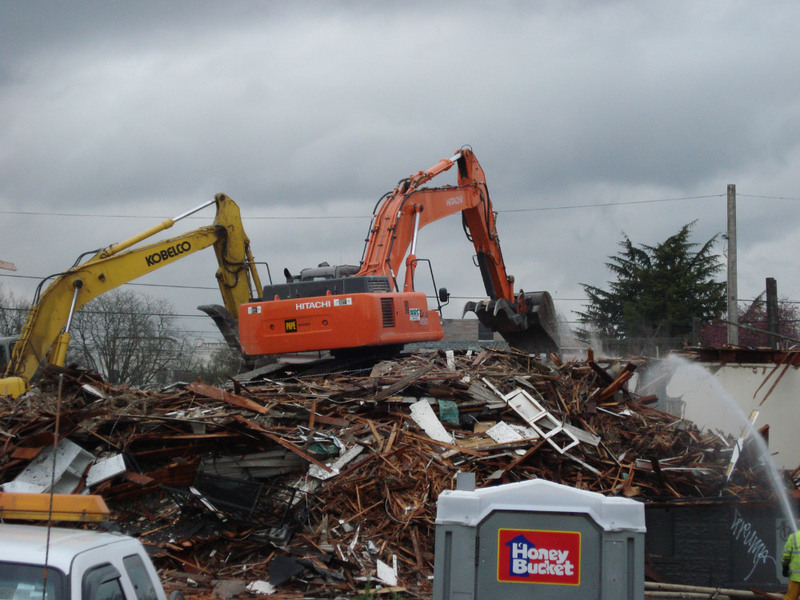 Removal of asphalt and concrete slabs, foundations, retaining walls, curbing, sidewalks, and other structures. Removal and recycling of 14 USTs. Excavation, transport, disposal of ~10,000 tons contaminated soil.